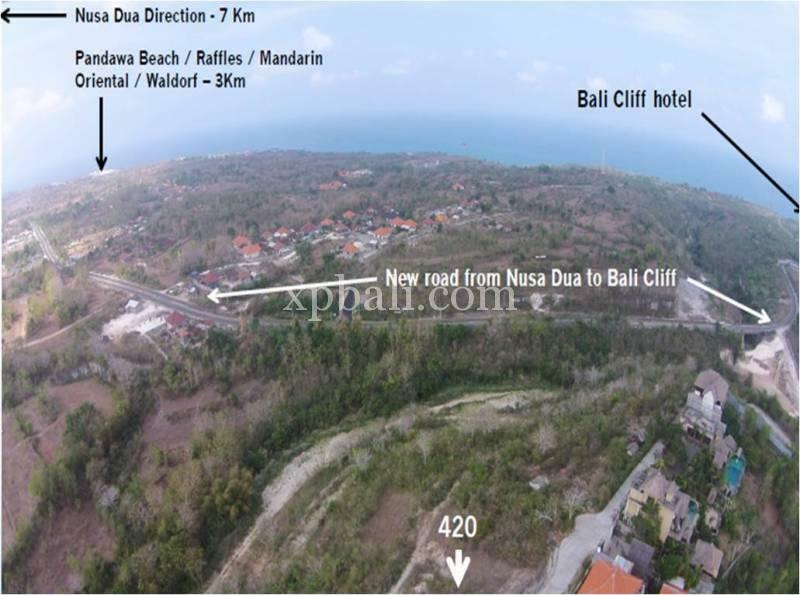 2.0 km from Jalan Karang Putih leading to Millionaire’s Row, site of some of the most spectacular cliff top villas in Bali. 3.0 km from the new Mandarin Oriental, Raffles and Waldorf Astoria hotel developments. < 25 minutes to the major BTDC development. Front blocks have stunning views of the Indian Ocean. 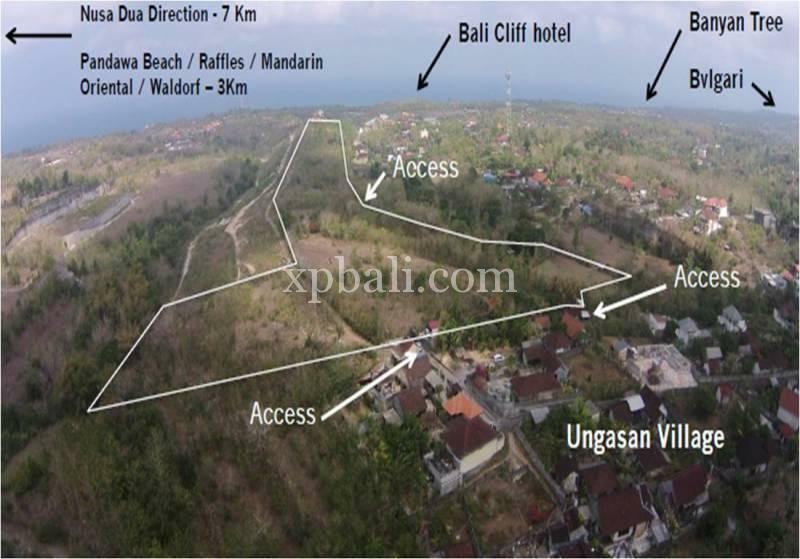 Back blocks have partial view of the Indian Ocean and views over The Bukit/Kutuh. 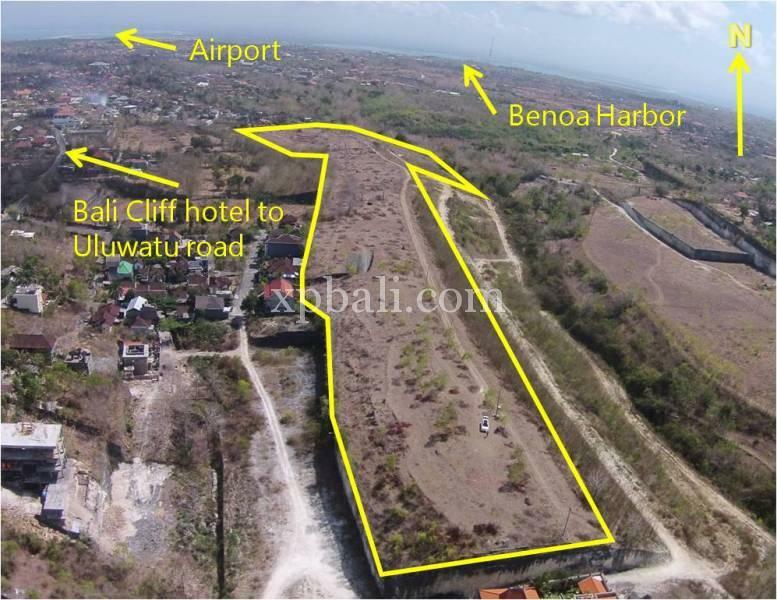 The 5 star hotel developments in the area have bought better utilities and improved infrastructure. Green zone cleared by Dinas Cipta Karya. Clear and unimpeded Hak Milik title.